We love putting together a total design and working closely with our clients each step of the way, although we appreciate that some people enjoy the process of designing for themselves, and just want help with certain room components. We embrace collaboration and are excited to offer the below services. 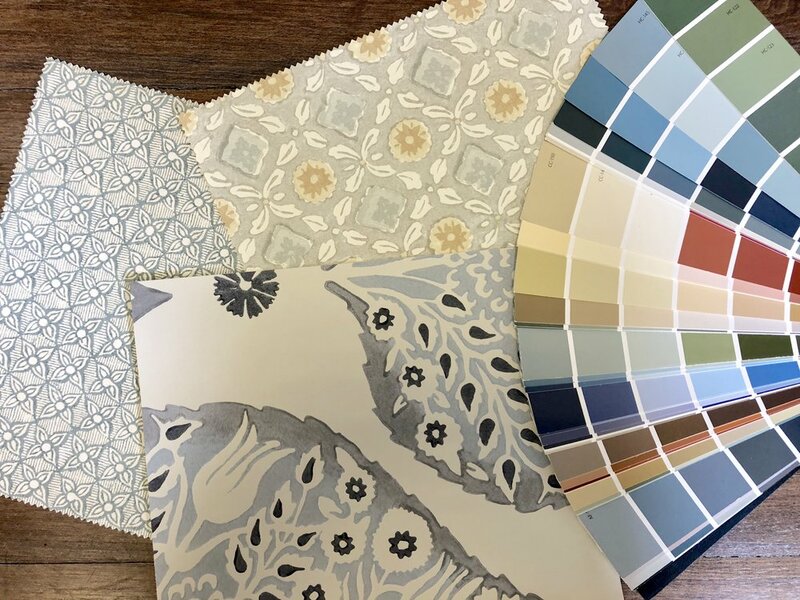 Our team will work with you to design your space, we do everything from space planning, custom mill work, window treatments, custom furniture, lighting, wall and floor treatments. We have trade accounts with the best "to the trade only" vendors to provide our clients with options beyond what can be bought retail. We work directly with contractors, work-rooms and artisans to coordinate and manage 100% of the design process and logistics. Don't know where to start? We can provide a detailed floor plan, including furniture sizes, rug size, and recommended components. This can include different options based on your goals. We can work from architectural drawings or take measurements on-site. From there, you can select and purchase furniture in retail stores, or we can help you source custom pieces. Built-ins and other mill work can make a space! It can be overwhelming to determine what you want and then communicate your vision. We can help you navigate this process... we provide design ideas with conceptual, or detailed, CAD drawings for your builder to work from. Hand drawn renderings can help to give you a sense of what your finished product will look like before you invest significant time and money. Our team can take your design ideas and specifications and create a rendering that reflects the warmth and dimension of the total design concept. Window treatments make a room feel finished, and warm. We'll work with you to determine the best design (from elaborate and unique - to - simple and clean), then source and purchase the perfect fabric and trims. From there, we are full service... measurements, fabrication and installation. 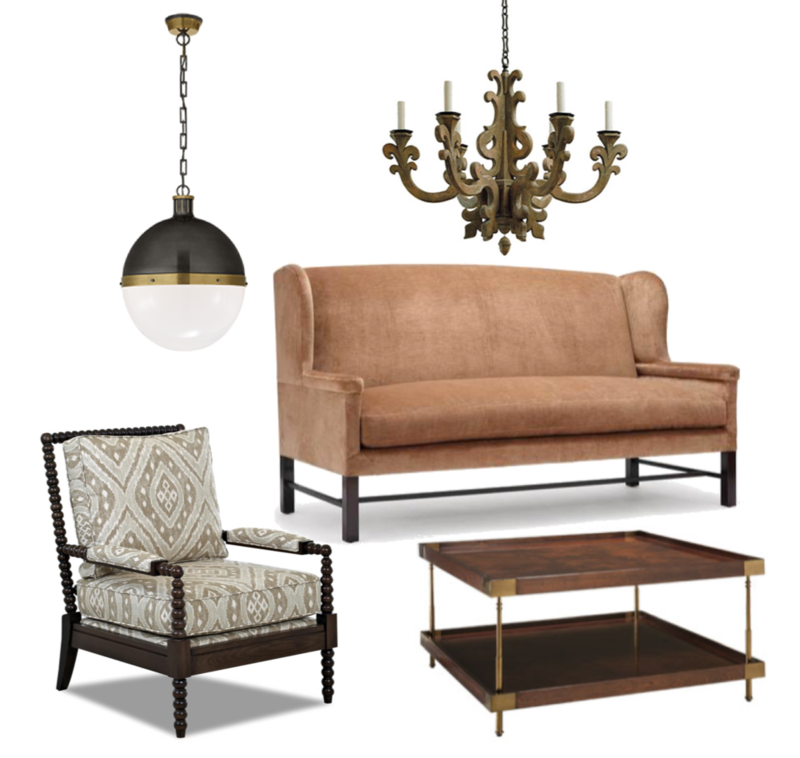 We work with the best vendors (middle to high end) to source furniture, lighting and accessories. Custom finishes, fabrics and trims can make each item unique to your space. Whether you want to furnish an entire room with custom pieces, or just a few signature things, we are happy to work within your vision and budget to deliver maximum impact! The easiest way to change the feel of a room is with paint or wallpaper. We can select and source paints and wallpapers in unique combinations to hide imperfections or highlight features. Wallpaper is a whole new world... stop picturing Marcia Brady's bedroom!